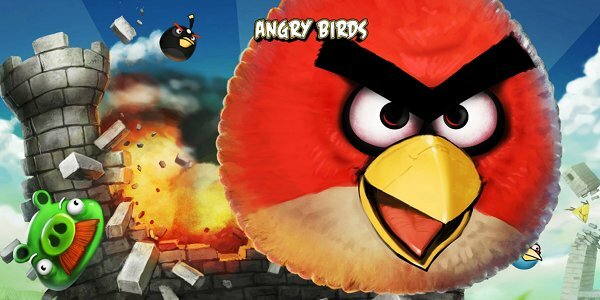 Rovio, the developer behind the incredibly successful Angry Birds franchise, released a free update to the iPad version of the game yesterday. 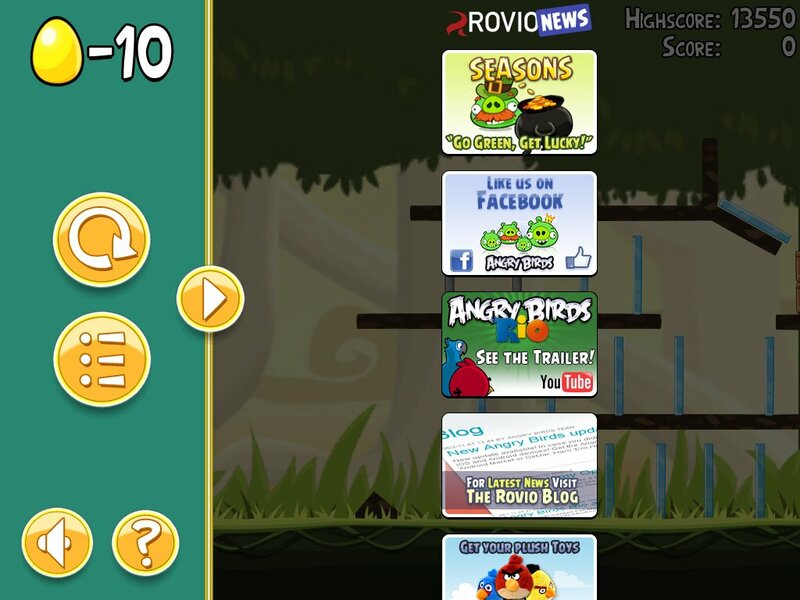 As usual, the update offers fifteen new levels, a golden egg, and new achievements, but to the surprise of many loyal fans, the update also brings a new feature, a “news” section, displayed every time the player restarts a level – something that Angry Birds users do a lot. The name of the new feature is quite misleading, as the news section is nothing more than a slew of in-app advertising banners, designed to promote Andry Birds merchandise, such as plush toys, and t-shirts. The move was not welcomed by the iPad users who own the game, and as a result, the current iTunes rating of the game tumbled down to 2.5 stars, instead of the 4.5 stars rating the game enjoyed thus far. I would have rated this game with 5 stars if the latest update didn’t have ads. I can’t get rid of them. I buy apps to get rid of ads not to get bombarded with more. Added “News” section when paused- this impacts the time to restart the level and continuous fade-in animation is very distracting. Now we’re forced to wait until the news loads EVERY SINGLE time the game is paused before restarting. Serious players will now have to wait an extra second or so each time a level restart is required. Come on, Rovio!! You’ve made spam more important than playability. Bad move. Get rid of the ads!!!!! I did not pay $5 bucks for ads. New update and get rid of this crap. What is wrong with you people that you thought this was a good idea? While iOS-powered devices users are used to dealing with ads in free apps, as after all, developers who put together these apps need to generate some revenue to develop them, the presence of ads in paid apps is a whole different story, and Rovio’s move was more than enough to spark an outcry. Lesson learned for the developers at Rovio, who will most likely have to withdraw the ads from the paid version of the app, in order to calm down a slew of angry fans.